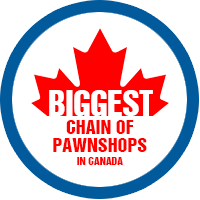 Cash Canada pawn is the largest and most established chain of pawn shops in Canada with over 30 years experience and reputation providing best of class service in pawn loans and pawn sales. Our store network is extensive with 7 locations in Edmonton, 2 in Calgary, as well as stores in Red Deer, Medicine Hat, Lethbridge, Grande Prairie, Wetaskiwin, and Prince George. Our big, bright, clean stores feature showrooms that offer an interesting variety of used merchandise of all kinds as well as gold, jewelry, electronics and more. Here�s What Our Clients Have to Say! "I have never felt more comfortable dealing with this type of company as I have with Cash Canada. I would absolutely recommend it." "Was a great experience. The lady who helped me was very friendly and had a great sense of humour. If I ever have to go back, it would be a joy to see her again."